Beginning in 2008, Acadian, previously an ambulance dispatch service, began providing video monitoring services within the United States. This company now maintains strong relationships with both manufactures and integrators of access control and video monitoring systems, and in 2017 alone their work led to the capture of over 60 criminals. A serious contender in the video monitoring marketspace, Acadian is now monitoring over 7000 devices nation wide. This growing division of Acadian’s business makes use of what they term the“SureView Systems Immix Station Platform”, used since 2008. This proprietary platform “gives Acadian the ability to monitor many different video products, including NVRs, cameras, encoders, VMS’, and audio devices.” (Acadian.com”). It is built in an open architecture style setup which allows for the creation of custom integrations for emerging products. These factors have led to “SureView” becoming the second certified partner of Acadian. What makes Acadian special in this industry is the quality of training they instruct their video analysts with. They are required to take online classes created by “The Monitoring Association”, SureView, and “The Telephone Doctor”, to insure the highest quality and to exceed industry standards. When you talk to an Acadian analyst, you get the sense that you are speaking to a well informed person who will be able to walk you through any issue. Weeks of hands on training with a supervisor is also required before even becoming an official trainee. Acadian differentiates between “proactive” and “reactive” solutions. A reactive solution in video monitoring is focused on “improving a reaction from a third party” (Acadian.com). This is not to prevent a crime from occurring, but instead to ensure that the appropriate response is taken for any given security event. Video verified solutions are a good example of this, such as Videofied. Solutions such as this provide police with better information about the event, reduce false alarms, and speed up response time from police services. Proactive solutions are focused on the prevention of criminal acts and trespassing before the involvement of a third party is initiated..
“Outdoor video monitoring solutions with video analytics and voice down technology”(Acadian.com) is one way to get a trespasser to leave the premises without involvement of police. 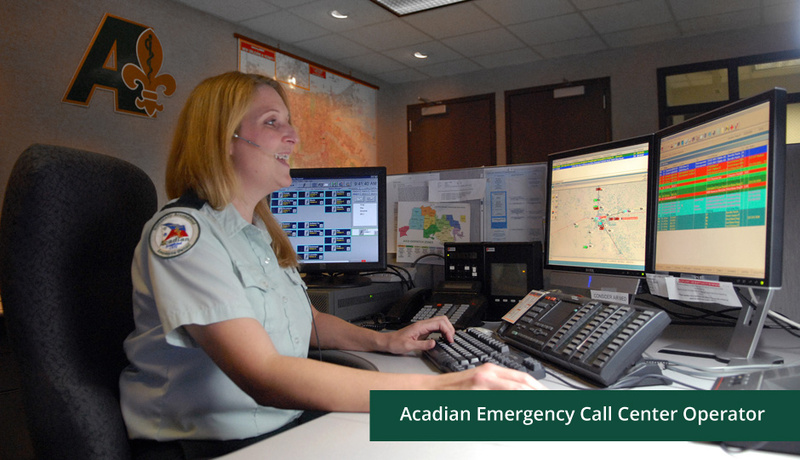 Acadian is able to access an on-site speaker to speak in real time with whoever triggered the event and warn them of impending police involvement if they do not leave. Done correctly, sites with outdoor inventory and outdoor sites in general can often be protected without a call to the cops. As an authorized dealer of many of the technologies that Acadian monitors, Security Technology of South Texas often makes use of Acadian in our projects requiring real time monitoring and response to security events. Our experience with Acadian has shown their service to be above industry standards as well as highly effective. To learn more about what we can do to product your site or indoor security, please contact us at admin@gostst.com on our website or via phone at 210-446-4863 24/7.